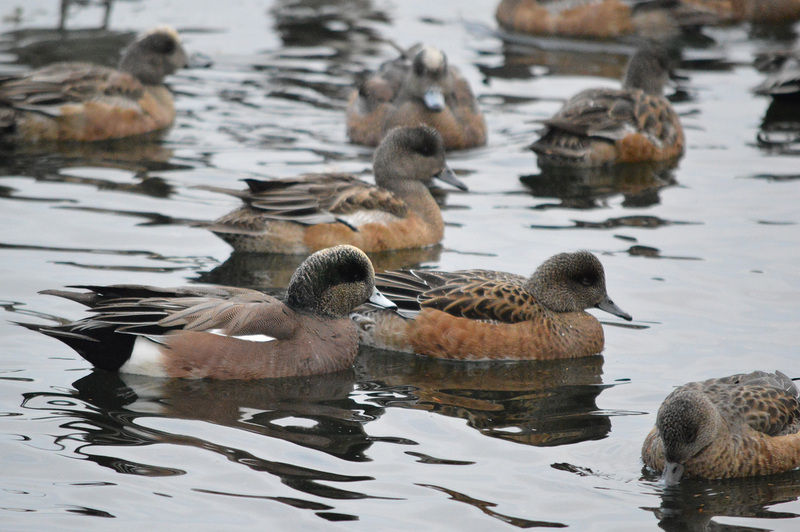 There’s usually no problem finding the American Wigeon in the Lower Mainland during the winter. 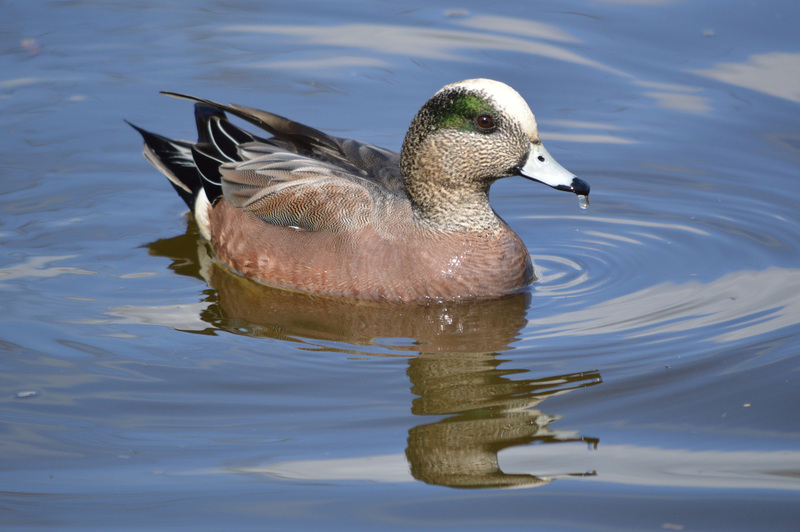 The males are identifiable, by the white patch on their forehead and green face patch. I do get the females and the juveniles mixed up though as they look identical, although I believe on the females the black tip on the beak is more developed.